As the team arrived in the changing rooms the DOTD was almost certainly already set with Sam forgetting to bring his hockey shoes! Once everyone arrived Jade gave the team a quick briefing running through positions and the press as the boys began to get ready and focussed for the game. Vice captain Ollie ran a thorough warm up and insured everyone was full stretched and prepared for the match ahead. The game begins and Blackheath start strong and put the pressure on Herne Bay team, a lot of fast pace play and pressure gives Blackheath a break on goal with a shot just saved but only to fall at the feet of Edd Thorogood to tuck it away to give the boys a 1-0 lead! The game continues and Herne Bay somehow manage to grab a goal back, but that doesn’t dishearten Blackheath. With another quick move the ball is fired into the D giving vice captain Ollie the opportunity from the top of the D to slap the ball into the corner giving Blackheath the lead again. Herne Bay turned up the heat being a goal down and began to attack further into the Blackheath half. Solid performance from the back line prevented the advances from the opposition, however they managed to squeeze and equalising goal in leaving the score at 2-2 with not long left on the clock. The game was all to play for with the score being level and both teams firing on all cylinders. Despite the constant efforts from the blackheath forwards they were unable to create the chance to grab the winning. A long Aerial from Herne Bay picked out one if there forwards who was unmarked, the ball was taken around the keeper and slotted in for Herne Bay to get the winner. With only minutes to go Ivens struck the crossbar and a short corner that couldn’t be converted gave the opposition the overall win. 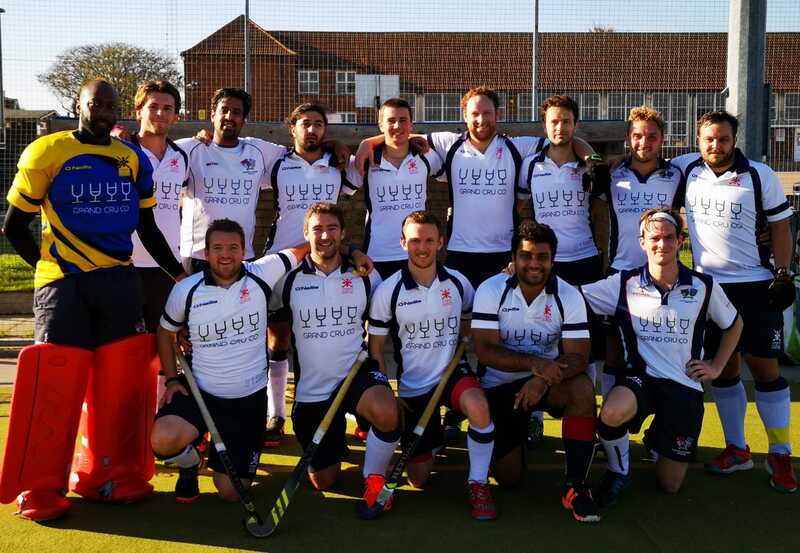 Despite the result a huge performance from everyone in the time, with the boys playing some incredible hockey and battling to the very last minute!